As well as announcing Android 2.2 (Froyo) at their Google I/O Developer conference, Google made another important announcement, Google TV, we have been hearing rumors about Google TV for quite some time now, and Google has finally officially announced Google TV. Google TV is designed to bring the power of the Internet to your TV, you will be able to search for TV programs on the web as well as search your own library of content and pick a show you want to watch. Google TV will be integrated into a number of TVs from various manufacturers, and you will also be able to buy a set top box that can be connected to the web to allow you to use Google TV on an existing TV. The video below explains how Google TV works, it looks like it might be quite interesting from the video. 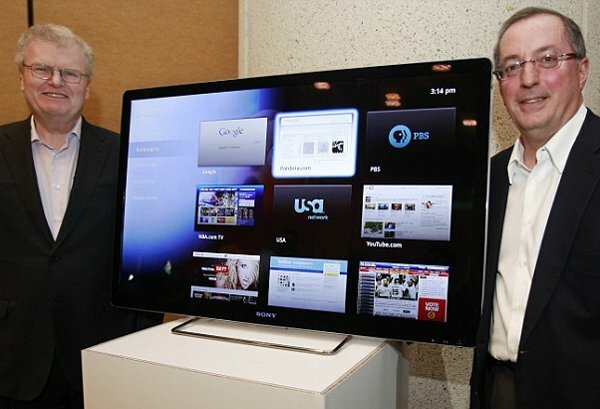 Sony has teamed up with Google to make Google TVs and they have also teamed up with Intel who will provide processors for the TVs, and it looks like they will be using Intel’s Atom range of processors that are currently found in netbooks and nettop computers. The Google TV will run on their Google Android platform, which is fastly becoming a very popular operating system for smartphones, and it will also use Google’s Chrome web browser. There are no details as yet on when the Google TV service will launch, as soon as we get some more information we will let you guys know.